AHEC, a division of WSU Extension that works on outreach with the health science programs at WSU Spokane, helps recruit health care providers for rural and underserved populations. Their mission is increasingly critical. A 2008 University of Missouri study estimated a shortage of 44,000 general practitioners in less than 20 years, a crisis that hits rural areas even harder with their aging population and difficulties in drawing in new health care workers. In 2005, there were 55 primary care physicians per 100,000 persons in rural areas, compared with 72 in urban areas, according to Mark Doescher, a doctor and director of the University of Washington’s rural health research unit. For registered nurses, the projected number of vacancies eclipses available RNs by 2020. Over the last 20 years, the number of health care students in the United States choosing primary care careers in rural areas has declined precipitously due to a number of factors: lower compensation for primary care, professional isolation, limited time off, less specialty support (especially for mental health services), and lack of respect and prestige among peers. “I think there’s a perception sometimes that the health care you receive in a small community isn’t on a par with a bigger city. Thats absolutely not true from my perspective. A family practice doc who’s out in Grand Coulee or Republic has to deal with everything,” says Rundlett. AHEC project associate Bonnie Wagner identifies the further challenges of the spouse’s employment and education of their children. “Not only are we asking physicians to go to these rural, isolated, pocketed areas, but we’re also asking them to bring their families,” says Wagner. Changing demographics in rural Washington add cultural and linguistic challenges to recruitment of doctors and nurses. Despite very good clinical outcomes in rural hospitals, there are still huge health disparities documented within increasing Latino and other ethnically diverse populations. To recruit doctors, nurses, and other health care professionals to rural areas, AHEC’s staff—with state agencies, WSU and other universities, and the communities themselves—use several innovative programs. Smith says three things are most important in recruiting to rural areas: if the individual is born and raised in a rural community, if any of the practitioners in their internships or residencies spent time in a rural community, and if the community helps to fund some of the education. One program that covers all three factors enables health care workers to pursue an associate degree in nursing in their home communities. Rural Outreach Nursing Program students study through a combination of distance education and on-site clinical educators, while their employer pays for some of their education. The program started in 2009 with plans to expand to Davenport, Grand Coulee, and other communities. 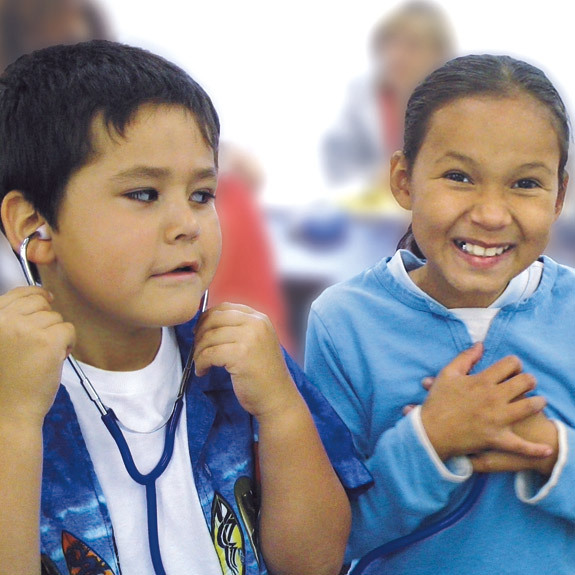 Educating students from elementary school and up about health care job possibilities is crucial. “Health care is competing against manufacturing and other industries that require less education and get folks into the workforce sooner for a lot of times the same pay,” says Wagner. Project Hope, an education program specifically aimed at Latino and other underserved populations, offers paid high school internships in clinics or hospitals in students’ own communities. Federal health care reforms also factor into recruitment for rural areas. In the legislation, primary care receives a higher Medicare and Medicaid reimbursement rate for a few years. The reforms also boost the National Health Service Corps, a loan repayment program for health care providers who agree to work in underserved and rural areas.